Peter D Matthews | The ‘Early Plays’ of Shakespeare? The ‘Early Plays’ of Shakespeare? Until now, there has been no definitive Genesis of the ‘Early Plays’ attributed to William Shakespeare of Stratford-upon-Avon. These literary works have been significantly debated by eminent scholars, musicians, composers, and a number of historians over the past two decades, yet none have fully peeled back the layers of time to unearth the buried secrets subtly concealed beneath. Many of those who have undertaken studies have majored from a literary perspective, but none have dared to examine the historical records as a forensic historian through the eyes of a philosopher and theologian. During my 14 years research on the ‘Early Plays’, I have found crucial ancillary documents that many scholars have simply overlooked, or dare I say, had a vested interest in concealing. These documents clearly date many of the works some decades prior to previous scholars. In my major academic work of Genesis of the Shakespearean Works, I prove previous relative methodologies were simply flawed, and wrong conclusions have been adopted as fact. I have re-dated many of the Shakespearean plays, and de-masked the original dramatists who existed long before Shakespeare appeared on the streets of London. It was possible for a Master of the English Language to deliver ’em. Some Latin without question he did know, and one may see up and down in his Plays how far his Reading that way went: In Love’s Labour Lost, the Pedant comes out with a Verse of Mantuan; and in Titus Andronicus, one of the Gothick Princes, upon reading Integer vitæ scelerisque purus Non eget Mauri jaculis nec arcu says, ‘Tis a Verse in Horace, but he remembers it out of his Grammar: Which, I suppose, was the Author’s Case. Whatever Latin he had, ’tis certain he understood French, as may be observ’d from many Words and Sentences scatter’d up and down his Plays in that Language; and especially from one Scene in Henry the Fifth written wholly in it. Integer vitæ scelerisque purus, non eget mauri iaculis nec arcu. The man of upright life and pure from wickedness, O Fuscus, has no need of the Moorish javelins, or bow, or quiver loaded with poisoned darts. I read it in the Grammer long agoe. Rowe stated this claim was offensive, as school students studying grammar did not study the works of Horace, let alone are able to recite it word-for-word from ‘long ago’. Rowe asserted the author of these works was no doubt was a ‘Master’ poet with a comprehensive knowledge of the ancient poet’s literary works. Rowe had deduced over three hundred years ago that William Shakespeare could not have penned these works, simply because he had little education of the ancients. Most scholars try to analyse the words, but overlook the fact that ‘Old Mantuan’ was an ancient dialect of northern Italy called ‘Emilian’ (ISO 639-3 language code) from the ancient Etruscans (also ISO 639-3 language code), who bounded upon Venice to the south and west, and included cities such as Mantua, Ferrara, Ravenna and Reggio Emilia. The word ‘perreche’ has been translated as ‘marry’, but Roberto admits, there is no English word that would do this sentence justice. 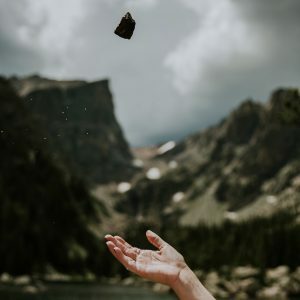 ‘Marry’ has the inference of a relationship, but in this case, it refers to the lack of ability, such as the inability to ‘fit in’ because of a language barrier, learning difficulty, or even a spiritual barrier – which required further examination. Who chews the cud but doth not cleave the hoof. The above canto from Act 4, Scene 2 of Love’s Labour’s Lost is probably one of the most cunning phrases in the entire Shakespearean works, because it clearly illustrates that corrupt leadership is the cause of the world’s sinfulness. Thus, much of the sources used for the Shakespearean works are found in the ancient poets, philosophers and chronicles of history. 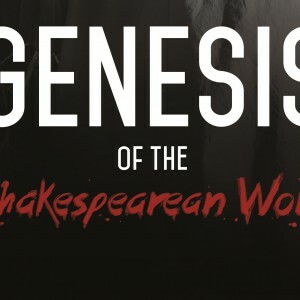 In Volume 1 of ‘Genesis of the Shakespearean Works’, I investigate some of the ancient poets, philosophers, and historical chronicles citied within the Shakespearean plays, such as: Plutarch’s Parallel Lives (Probably Venetian Greek Edition or Latin Edition); Virgil’s The Aeneid (Latin Version); The Works of Philo; Suetonius’ The Life of the Caesars; Quintus Ennius’ Latin Annals; Homer’s Odyssey; Livy’s Ab Urbe Condita (The History of Rome); Julius Caesar’s Commentarii de Bello Gallico; The Dissertations of Maximus Tyrius; Stobaeus’ Anthology on War: Tyrtaeus; Dictys’ Journal of the Trojan War; Cornelius Nepos’ Lives of Eminent Commanders: Marcus Porcius Cato; Herodotus, The Histories; and let us not forget Geoffrey Monmouth’s 1136 Historia Regum Britanniae (Latin version); Giovanni Boccaccio’s The Decameron; Saxo Grammaticus’ Gesta Danorum; Hieronymus Cardanus’ Cardanus Comforte; Niccolo Machiavelli’s The Prince; Edward Hall’s 1548 Union of the Two Noble and Illustrious Families of Lancaster and York; Robert Fabyan’s 1516 The New Chronicle of England and of France; and John Harding’s 1543 The Chronicle of John Hardyng. These are just a few sources from the first fifteen plays from All’s Well That Ends Well to Julius Caesar. Possessing a comprehensive knowledge of these volumes of ancient poetry, philosophy, and even history, is a tall order for many scholars today, let alone turning the clock back to the 16th century, where one had to possess an entire library. We must agree with Rowe: the dramatist of the Shakespearean works possessed a comprehensive knowledge of the ancients. He or she was a ‘Master’ poet, historian, and philosopher of the highest calibre. As Rowe admitted, William Shakespeare had no such education of the ancients. After the most diligent enquiries, very few particulars have been recovered, respecting his private life, or literary history. The materials for ascertaining the order in which his plays were written, are indeed so few, that, it is to be feared, nothing very decisive can be produced on this subject. This is why he termed it ‘an attempt’ to chronologically date the works. It has been said that Francis Meres, who in 1598 enumerated this among our author’s plays, might have been misled by a title-page; but we may presume that he was informed or deceived by some other means; for Shakspeare’s name is not in the title-page of the edition printed in 1611, and therefore, we may conclude, was not in the title page of that in 1594, of which the outer was probably a re-impression. As Plautus and Seneca are accounted the best for Comedy and Tragedy among the Latines: so Shakespeare among the English is the most excellent in both kinds for the stage. For Comedy, witnes his Gentlemen of Verona, his Errors, his Loue Labors Lost, his Loue Labours Wonne, his Midsummers Night Dreame, and his Merchant of Venice; For Tragedy, his Richard the 2, Richard the 3, Henry the 4, King Iohn, Titus Andronicus, and his Romeo and Iuliet. All this passage proves is that Two Gentlemen of Verona, The Comedy of Errors, Love’s Labour’s Lost, Love Labour’s Won, A Midsummer Night’s Dream, The Merchant of Venice, Richard II, Richard III, Henry IV, King John, Titus Andronicus and Romeo and Juliet were performed prior to Mere’s publication date of 7 September 1598, as recorded in the Stationer’s Register. It proves nothing more. As Malone suggested, Meres’ remark of Shakespeare does not authenticate that William Shakespeare was the author. The fact is, both Mere’s and Shakespeare had not even been conceived when the earliest Shakespearean plays were performed on London streets. Furthermore, the earliest ‘published’ Quartos of Titus Andronicus (1594), 2 Henry VI (1594), Romeo and Juliet (1597), Richard II (1597), Richard III (1597), 1 Henry IV (1598) and Henry V (1598) were all published anonymously, without the name of William Shakespeare. Malone established the name of William Shakespeare was not on the Third Quarto of Titus Andronicus (1611), and therefore he suspected Shakespeare’s name was not on the 1594 First Quarto, because the 1611 Third Quarto edition makes it very clear that the original works were penned anonymously. Unfortunately, at the time Malone wrote this, there was no known copy of the 1594 First Quarto of Titus Andronicus available. It has since re-surfaced and was in fact penned anonymously, just as Malone suspected. As we investigate the religious influence, we can understand why these plays were penned anonymously. The vast majority of modern chronologies are based on the work of Sir Edmund Kerchever Chambers (E.K. 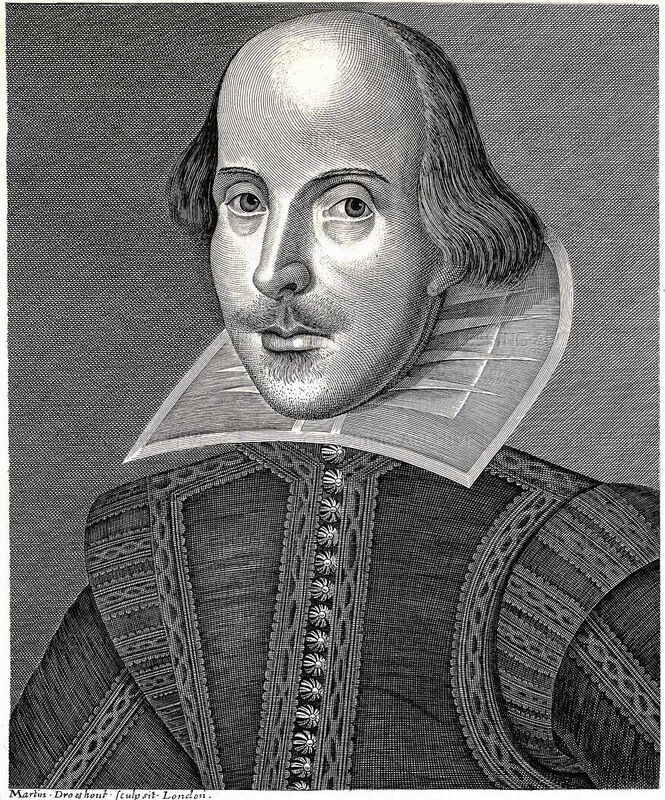 Chambers) from his 1930 two volume work entitled, ‘William Shakespeare: A Study of Facts and Problems’. In addressing the ‘problem of authorship’, Chambers asserted “the most important is the list given by Francis Meres in his Palladis Tamia of 1598”. This is the same list mentioned above, where Malone suggested Francis Meres “might have been misled” or “deceived”. If Chambers relied upon this list as his “most important document” in the investigation of the works, then I suggest Chambers might have also been deceived. Chambers even stressed this was because Henry VI “must be an early work”, thereby dating it between 1590 and 1591. Yet, Chambers had not investigated early records that cite cantos from Henry VI being performed on the streets of London prior to 1576. Had he properly investigated these documents, I suspect he might have come to a different conclusion. Many scholars have not realized that the Shakespearean works were deliberately embellished with Jewish Kabbalistic piyyut (embellished poetry used as poetic song in worship on Sabbaths and festivals), braided with Jewish Essene theology, and Jewish Kabbalistic teaching from the Sefer ha-Zohar and the Sefer Yetzirah that were otherwise inaccessible to anyone but pious Masters of Kabbalah. William Shakespeare was not a Jew, Essene, or Master Kabbalist. He certainly could not read Classical Hebrew, Aramaic, Arabic, Ancient and Medieval Greek, nor the Ancient Emilian dialect (Old Mantuan) from northern Italy, that were required to read and translate many of these texts, let alone infuse these texts within all of the Shakespearean plays. There are dozens of Jewish sources penned in Hebrew, Aramaic, and Greek within the Shakespearean works, including, but not limited to: The Talmud, Tanukh, Sefer Yetzirah (Book of Formation); Babylonian Talmud; Midrash Tanḥuma; Sefer Raziel HaMalach (Book of the Angel Raziel); Targum Ecclesiastes (the earliest rabbinic commentary on Ecclesiastes); Zohar of Mantua (1557, and 3 volume edition 1558-60); Pirkei Avot (Ethics of the Fathers); Sefer Chassidim (Book of the Pious), Sefer Ha Bahir (Book of Illumination); Sefer haYashar (Book of Jasher); Sefer Raziel HaMalach (Book of the Angel Raziel). 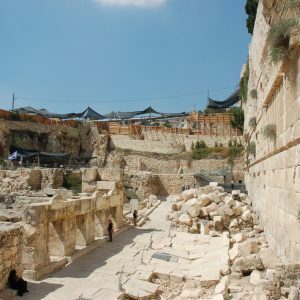 We must not forget the vast amount of imageries containing much of the Jewish Essene teaching contained in the Dead Sea Scrolls, such as the Book of Jubilees that was otherwise out of circulation in the 16th century, which is very interesting indeed. Another favourite author of the dramatist was the Romano-Jewish historian, Flavius Josephus, particularly his work on Antiquities and The Wars of the Jews. William Shakespeare was not a learned Jewish Master Kabbalist, therefore could not have penned these graphic Hebrew infused plays. One only has to refer to the Hebrew titles of a number of the Shakespearean plays to understand the dramatists were Jewish Kabbalists. For example, the title ‘All’s Well That Ends Well’ is from the Hebrew expression ‘סוף טוב הכול טוב’ that is transliterated as ‘Ahh, Sof Tov, Hakol Tov!’ which in English means exactly that – ‘All’s Well That Ends Well’. Thus, the author of this play was clearly a Jew, but also a Jewish Master of Kabbalah, as Jewish Kabbalists claim there is nothing ‘bad’ in creation. It is merely that we as the fruit of creation, have not yet ripened to maturity – the very theme of this play. Scholars have theorized what the title ‘A Midsummer Night’s Dream’ might have meant for the last four centuries, but none to my knowledge have grasped the real meaning. I suggest this is because they have peered through the eyes of a Protestant Englishman, who they claim fashioned this wonderful Jewish comedy play. This assertion is now proven to be absolute nonsense. The title is actually taken from the ancient Jewish holiday and festival of ‘ט”ו באב’ transliterated into English as ‘Tu B’Av’, meaning figuratively, a Carnivale style Midsummer’s Night of Love according to the ancient Jewish rituals, where on the full moon of Tu B’Av (15th day of Av), young virgins would borrow white garments and dance in the vineyards upon nightfall to celebrate the ‘beginning’ of the grape harvest festival. ‘As You Like It’ comes from the Hebrew word חָפַש (chofesh) – a free people to do As You Like. In English, it is the expression of a Hebrew saying in relation to time and freedom in seizing the moment. Donn Taylor and Maurice Hunt were both on the right track when they compared As You Like It with the Greek word καιροῦ (kairos) where most of the characters ‘seize the occasion’, having grown to maturity and joined in good fortune through multiple marriage in the final scene. Henry VIII is a ‘history play’ based upon the life of King Henry VIII, set in early 16th century Britain. Prior to the First Folio edition of 1623, the play of Henry VIII was referred to as “All is True” speaking Hebraically of the Torah and its redemption. It is the Hebrew expression וּמִכָּל־הָ֣אֱמֶ֔ת (All the Truth) taken directly from Pirkei Avot 3:11 regarding the ultimate profanity, which is to interpret “the Torah contrary to its true intent” where Jacob deliberately showed disrespect by deceiving his father and cheating his brother, and conversely Jacob’s declaration of not being worthy of God’s redemption in Genesis 32:10. Without even investigating the many thousands of Jewish Kabbalistic imageries infused within all of the Shakespearean plays, we can safely conclude from these Hebrew titles that the dramatists of the Shakespearean works were Jewish Kabbalists. William Shakespeare, who Heming and Condell recognized as a ‘principal actor’, was practically illiterate and barely able to sign his own name. He died in April of 1616 of ‘feverous intoxication’ because he ‘drank too hard’. A clergyman by the name of Richard Davies summed Shakespeare up rather well in 1616, where he recorded in his diary just prior to Shakespeare’s death, that Shakespeare was “given to all unluckiness” whereby he was “oft whipped” for stealing, and “sometimes imprisoned”. We can deduce from this record that William Shakespeare was actually a convicted criminal who lived a habitual life of thievery. This was not an isolated incident, because Shakespeare was prosecuted in 1598 for tax evasion and price gouging or extortion, specifically by hoarding grain over a fifteen-year period and selling it at exorbitant prices to hungry locals in the Stratford region. Yes, trust them not, for there is an upstart crow, beautified with our feathers, that, with his Tygers heart wrapt in a Players hide, supposes he is as well able to bumbast out a blanke verse as the best of you; and being an absolute Johannes Factotum, is in his owne conceit the onely Shake-scene in a countrie. Green attacked William Shakespeare, calling him a conceited “upstart crow, beautified with our feathers” that simply cannot be trusted – “an absolute Johannes factotum”. Green uses an imagery from Martin Luther’s 1534 ‘Afterword to the Epistle of the Parisian Theologians’ where Luther wrote, “they proceed with confidence and like Aesop’s little crow, they steal someone else’s feather and use borrowed Latin” because the Parisian Theologians denied the use of original Hebrew and Greek, preferring the Latin Vulgate, which is translated (reworked) from the original Hebrew and Greek texts penned many centuries earlier. Thus, Green was warning that Shakespeare was like the crow in Aesop’s fable who steals feathers from other birds and dresses in them. In essence, Green attacked Shakespeare for stealing the plays that were performed on London streets many years earlier, penned by another author entirely. The verse Green referred to is from Act 1, Scene 4 of 3 Henry VI, namely ‘Oh Tygres Heart, wrapt in a Womans Hide’, which was cited as “his Tygers heart wrapt in a Players hide” by Green prior to his death in 1592. The First Octavo of 3 Henry VI dated 1595 is printed as ‘Oh Tygers hart wrapt in a womans hide?’ Green must have viewed a performance of 3 Henry VI many years prior to its publication in 1595. One would presume that 1 Henry VI and 2 Henry VI were penned long before 3 Henry VI. The fact that others cite direct quotes and fragments from both 1 Henry VI and 2 Henry VI in the 1570’s certainly supports this conclusion. In calling Shakespeare “an absolute Johannes factotum”, Green was calling Shakespeare a ‘Jack of all trades’ in the same offensive context as today – a would be, if they could be – more often than not, they are unqualified halfwits who often stuff things up instead of fixing them properly. This can be compared to a ‘tinker’ in the 16th century, who went from town to town trying to gain work fixing things. This is an interesting parallel in light of the ‘Latter Play’ of The Taming of the Shrew, where the character of Christopher Sly was no doubt modelled upon William Shakespeare, because his mother’s real life brother-in-law was named Thomas Sly of Lapworth. The Sly family lived 12 miles from the Shakespeare’s farm in Snitterfield, outside Stratford. In The Taming of the Shrew, William Shakespeare is denounced as a drunken tinker, come actor, who misquoted lines and fell asleep during his own performances. In essence, as the story goes, Shakespeare was tricked by an English lord into believing he was something that he was not – no doubt by the Lord Chamberlain, Henry Carey, 1st Baron Hunsdon. During my 14 years examination of the ‘Early Plays’, I have found crucial ancillary documents that many scholars have simply overlooked, or dare I say, had a vested interest in concealing. These documents clearly date many of the works some decades prior to previous scholars. In my major academic work of Genesis of the Shakespearean Works, I prove previous relative dating methodologies were simply flawed, and wrong conclusions have been adopted as fact. I have re-dated many of the Shakespearean plays, and de-masked the original dramatists who existed long before Shakespeare appeared on the streets of London. Whilst I do not wish to let the cat of the bag too early, I herein provide a brief table below showing the date and brief explanation of title from the ‘Executive Summary’ of each play in Volume 1 of Genesis of the Shakespearean Works, but I will leave the complete discussion and authorship debate for the upcoming book, because we must examine each citation and source before drawing any conclusion as to the authors’ identities. However, there were many clues along the way, intentionally left by the dramatists for us to discover centuries later. All’s Well That Ends Well Latter 1596-1603 The title is taken directly from the Hebrew expression סוף טוב הכול טוב (Ahh, Sof Tov, Hakol Tov!) which in English means exactly that – ‘All’s Well That Ends Well’. A Midsummer Night’s Dream Early Prior to 1576 The title is taken directly from the ancient Jewish holiday and festival of ‘ט”ו באב’ (Tu B’Av) meaning a Carnivale style Midsummer’s Night of Love according to the ancient Jewish rituals. Antony and Cleopatra Early Prior to 1576 The tragedy of Antony and Cleopatra depicts the demise of the last Egyptian dynasty during the Battle of Actium in 31BC. As You Like It Early Prior to 1576 ‘As You Like It’ comes from the Hebrew word חָפַש (chofesh) – a free people to do As You Like. Coriolanus Early 1556 – 1576 The tragedy of Coriolanus depicts the life and fall of the 5th century BC Roman General, Caius Marcius, later surnamed Coriolanus. Cymbeline Early Prior to 1576 The tragedy of Cymbeline is based upon the legendary king of ancient Britain, Cunobeline, influenced by the Italian name, Cymbelino. Hamlet Early 1558 The tragedy of Hamlet reflects the Latin story of The Life of Amleth by Saxo Grammaticus with imageries from Hieronymus Cardanus, infused with the Hebrew Ethics of the Fathers. Henry IV (Part 1 and 2) Early Prior to 1576 Henry IV Parts 1 and 2 are consecutive history plays set in early 15th century Britain. Henry V Early Prior to 1576 Henry V continues on from 2 Henry IV, set in early 15th century Britain. Prior to 1591ɛ Henry VI trilogy continues on from Henry V, set in 15th century Britain. ɛPart 3 – Prior to 1591, most likely prior to 1576. Henry VIII Early Prior to 1576 Henry VIII is a history play based upon the life of King Henry VIII, set in early 16th century Britain. Its earlier name “All is True” is a Hebrew expression taken directly from Pirkei Avot 3:11 and Genesis 32:10. Julius Caesar Early 1562 The tragedy of Julius Caesar is a historical play depicting the triumph and death of the first century BC Roman politician and general, Gaius Julius Caesar. For further information on the ‘Early Plays’, please read my major academic work of ‘Genesis of the Shakespearean Works’ due to be released in early 2017. More information is also available on my website at www.petermatthews.com.au, or you can like my Facebook page to keep abreast of any updated material I find. Rowe, Nicholas (1709), The Works of Mr. William Shakespear, Jacob Tonson, republished as ‘Some Account of the Life of Mr. William Shakespear’ Comm: Samuel Monk, 2005. Wells, Stanley; Taylor, Gary, Jowett, John; Mongomery, William (1987, 1997), William Shakespeare: A Textual Companion, Oxford University Press, ISBN 9780393316674, p90. Chambers, E.K. (1930), William Shakespeare: A Study of Facts and Problems, Clarendon Press, p205. Morgan, Usher, Ed. 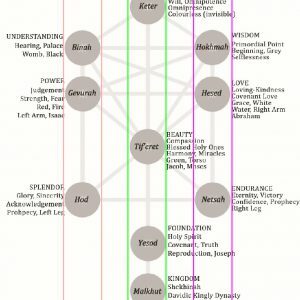 (2009) Full Guide to Becoming a Real Wizard, Witch Or Necromance, Lulu, ISBN 9781449967635, p129 where Morgan asserts the Hilkot Yetzirah is declared to be esoteric lore not accessible to anyone but pious Masters of Kabbalah who were obligated to use it solely for Kabbalistic purposes. Hunt, Maurice A. (2008), Shakespeare’s As You Like It: Late Elizabethan Culture and Literary Representation, Pagrave Macmillan, ISBN 9780230610187, p26. First Folio 1623, dedication by Heming and Condell, who claim Shakespeare was a ‘principal actor’. Holland, Peter (2007) William Shakespeare (Very Interesting People), Oxford University Press, USA, p. 59. Green, Robert (1592) Groats-worth of Witte, bought with a million of Repentance, William Wright. Springer, Carl. P.E. (2011), Luther’s Aesop, Truman State University Press, ISBN 9781612480688, p57. Matthews, Dr Peter D (2013), Shakespeare Exhumed: The Bassano Chronicles, Bassano Publishing House, Australia, ISBN 9780987365255, p255. The Holy Grail: The Zohar of Antiquity? How to Break the Drought! Were the Bassanos Blackamoors, Black Jews, or tanned Italian-Spaniards?